ITV says it has ordered a third season of “Grantchester,” featuring James Norton as the crime-fighting clergyman Sidney Chambers. Grantchester – the show with a hot vicar. Are vicar’s allowed to be hot? Are they allowed to drink too much, enjoy a good smoke, and love a married woman? Do they have a propensity for solving crime? Better looking any day than Miss Marple, comes Sidney Chambers, played by the dreamy James Norton. Probably no one during Season 1 of Grantchester drooled over him as much as they have after War & Peace. The ladies are clamoring to see more of this handsome Brit with a dreamy voice (if he’s not playing the psychopath in Happy Valley). So flock to Season 2 now on Masterpiece Theater (or Theatre, depending on which side of the pond you come from). The scene is set in the 1950’s in Cambridgeshire village, which is apparently the era where Midwife, A Place to Call Home, Brooklyn, and a few other shows are reviving the times. 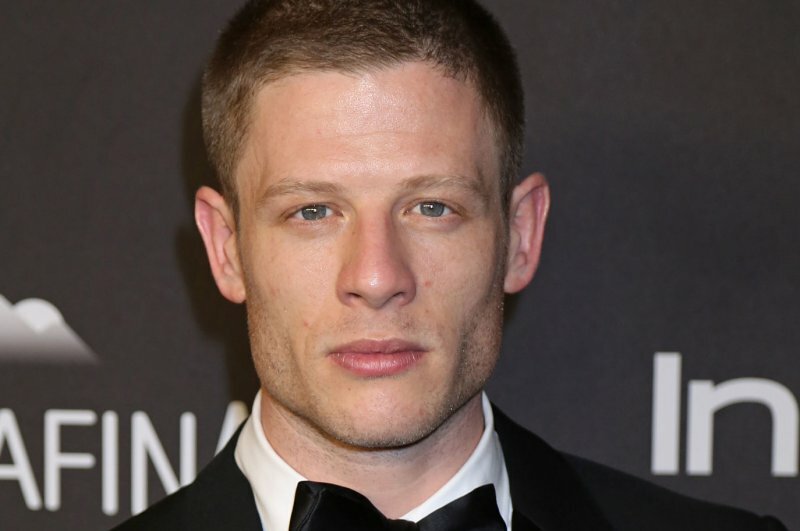 James Norton plays the heartbroken man, whose love of his life married someone else. He carries the unrequited love torch throughout the episodes unable to give her up completely. As hard as his friend tries at matchmaking, he just can’t seem to move on. Of course, Morven Christie as Amanda Kendall doesn’t help matters either. Having married the man her daddy preferred (higher classed gentry), she’s not acting very happy. Nevertheless, even though the lady’s husband just punched Sidney in the nose and told him to stay away from his wife, he doesn’t seem to get the point he’s stepping across boundaries. Give it a rest Sidney. Plenty of other women are willing to fall at your feet and wash your clergy robes. The vicar, of course, has another relationship going on besides his congregation. He is sleuth friends with Detective Inspector Geordie Keating played by Robson Green. Though he thinks that Sidney should keep his nose out of the business of police work, he ends up tolerating his interference while solving the latest crime. The Grantchester Mysteries are based on stories written by James Runcie. Even though the eye candy for the ladies with Mr. Norton exists, I do not find the murder and crime portion of it as engaging as other British television shows. It’s lacking the tension, dark mystery, and danger I prefer. There is always a short sermon in there somewhere for the small congregation of Sidney’s church (no revival going on here), but otherwise, the tales of crime and woe are so-so. I’ve been spoiled by intense story lines elsewhere, but I guess in 1950 crime wasn’t as exciting in Britain. Nevertheless, it fills the void on Sunday nights. Let’s hope that Sidney falls in love with someone and we get a little heat rather than remorse brewing each episode. It could liven things up. Will the vicar eventually fornicate? Heaven help us. So far he’s good at pushing women up against a brick wall during a passionate kiss. There may be redemption for this man after all. P.S. It appears that Grantchester has been renewed for Season 3. On April 5, 2015, I wrote a post – “Outlander Returns, But I Won’t Be.” I did not watch the second half of Season 1, mainly out of protest due to the violence and scenes I didn’t care to have burned into my psyche. It was a personal choice, and I have not regretted that decision. I don’t have Starz on cable, but I have added the Starz subscription to my Amazon account for $8.99 per month to get back on the ship sailing for France. Perhaps, out of ignorance of not reading the entire series (except for book one), I have no idea what lies ahead. Bravely, I decided to pick up the story, which hopefully is a little less violent in nature. Please warn me if there is something ahead. I just don’t have the time to read books when I’m busy writing them. Last night I streamed the first episode of Season 2, which apparently was released ahead of airing on cable. A lot of reviewers emotionally thanked Starz for that gift. Jamie and Claire have arrived in France, fleeing the horrid past I failed to watch. Of course, Claire has her agenda immediately after their arrival, in spite of the fact that Jamie is recovering from ghastly abuse at the hands of Randall. However, the story doesn’t begin there. Claire is found lying on her back again having come through the portal. Dressed in her Eighteenth Century clothing, she’s returned to 1948. After being found wandering the streets by a passing car, she learns that her plan to stop the Culloden massacre has failed – those Brits won anyway. Everyone she loved and knew is dead, gone, and a pile of dusty bones buried somewhere in the land she left behind. Mild manner Frank is elated she’s back. Claire at first only tells her journey to the vicar’s housekeeper who danced the dance in Season 1 around the mysterious stones. She is traumatized, heartbroken that she has left Jamie, and pregnant. Okay, now don’t get me wrong, but something along the time-travel continuum must have went wacky in the creative license Gabaldon took in this instance. Nevertheless, Claire is carrying Jamie’s child even after coming through the portal. After Frank discovers all the secrets of her disappearance and impending motherhood, he loses it. His violent outburst is reminiscent of his psychopathic ancestor. After calming down, Claire and Frank come to an agreement of sorts. Claire will put the past behind. Frank will raise the child as their own. They will move to Boston and begin a new life. As Claire takes Frank’s hand coming off the plane, we are thrown into the flashback of her arrival with Jamie in France. What can I say about Claire? Her character irks me a tad. She’s bullheaded and determined, while Jamie questions the morality of their decision to try and change the future. Of course, Claire isn’t privy to all that knowledge we have now about how changing the future can lead to disastrous results. Nowadays, we’ve read enough fiction novels, seen movies, and television shows that point out that fact. Perhaps, Stephen Hawking can chime in, too, that if it were possible to time travel, it’s not a very good idea to change the past. After meeting the key players in France, making their first enemy (boy that was quick), viewers are off on another adventure with the Scot. Admit it — you only watch because of cute Sam Heughan, who plays Jamie Fraser. You’ve seen his naked behind making love to Claire and you want more. I get it. So, let’s see how Outlander plays out in the future. I will admit the acting is top-notch, especially for Caitriona Balfe and Tobias Menzies in the first episode of Season 2 last night. They almost had me crying. How Tobias can switch from a maniac to a decent human being shows his wide range of talent. The costumes and scenery this season look to be stunning. Long gone is the cold castle as it appears the players will now be living in luxury. I will continue to pen my two-cents worth and scatter kernels for your delight. In the meantime, my next project is my own time-travel story that will have you scratching your head over my creative liberties. Should be fun nevertheless but probably not Starz worthy. No naked Scots in mine, only a crippled Brit.